This is my fabulous little secret. Long name and all. I discovered this recipe myself just by experimenting on a day when I had these ingredients laying around and wanted both spicy sausage and gnocchi, and needed a sauce so i tried a knorr pesto packet. It takes 30 minutes with multitasking, is so delicious, and actually pretty elegant. Try it! In a skillet over medium heat, cook the sausages(removed from their casings) fully through. Towards the end, add the Julienned pepper and let them stir around with the sausage a bit to get the flavor in there. Meanwhile, cook the gnocchi as directed on the package. In a small pot, follow the knorr pesto instructions (2 cups of milk, 1/4 cup of oil and the stuff in the package, whisking constantly.) 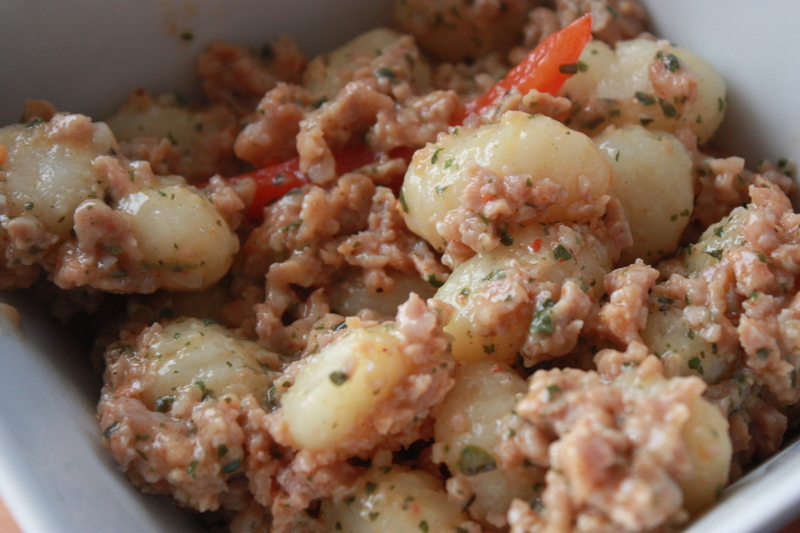 Put the cooked sausage in a food processor and pulse a few times until the pieces are small enough to your liking. Once the gnocchi is done, drain it, and grab a big bowl. 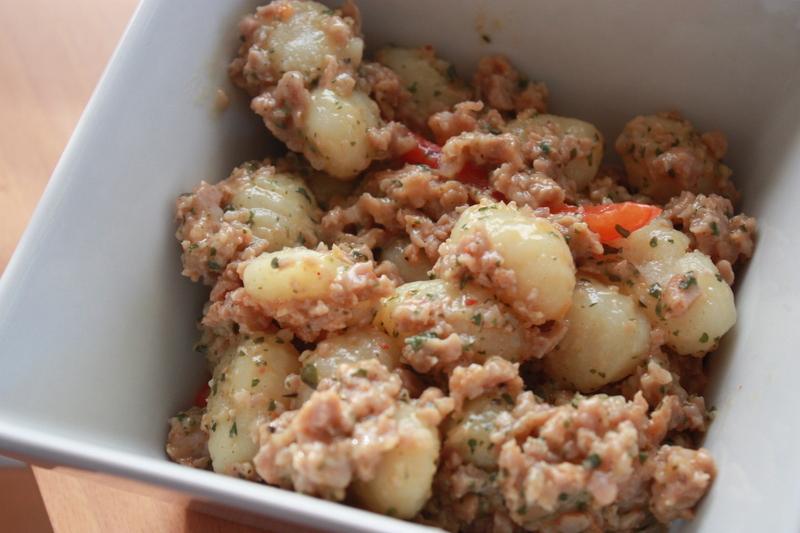 Put the gnocchi into the bowl, add the pulsed sausage, pepper slices, and pesto sauce and stir. Serve with garlic bread or a garden salad on the side. Enjoy! I promise everyones taste buds will spark when they taste this!